How can I get free CFL bulbs to give away? How do I drive pledges to the ENERGY STAR Web site as a pledge driver for the Change the World, Start with ENERGY STAR campaign? What if I want to collect pledges at an event without computers? How do I register as a pledge driver for the "Change the World, Start with ENERGY STAR" campaign? If I'm already a Change a Light pledge driver, will I still have a tracking page for the new "Change the World, Start with ENERGY STAR" campaign? How can I track my success? What are the benefits of participating as a pledge driver for the Change the World, start with ENERGY STAR campaign? 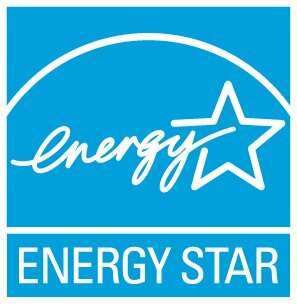 How does EPA determine my recommended goal for the "Change the World, Start with ENERGY STAR" campaign? Can I reset my goal at a later date? What is an umbrella pledge driver for the "Change the World, Start with ENERGY STAR" campaign? And how do I become one? Why has the Change a Light campaign been replaced by the "Change the World, Start with ENERGY STAR" campaign? What is a pledge driver for the "Change the World, Start with ENERGY STAR" campaign? Who is eligible to be a pledge driver? What is the "Change the World, Start with ENERGY STAR" campaign? By becoming a pledge driver, your organization can promote the ENERGY STAR Pledge within organizational communications. You will receive credit online towards greenhouse gas emissions savings when individuals take the pledge. If you become one of the top five organizations in terms of greenhouse gas emissions saved, your organization's name will be featured on the main campaign Web page. As a pledge driver, you will also have access to communications materials to support your efforts. Most importantly, by inspiring others to take the pledge, you help fight global warming.